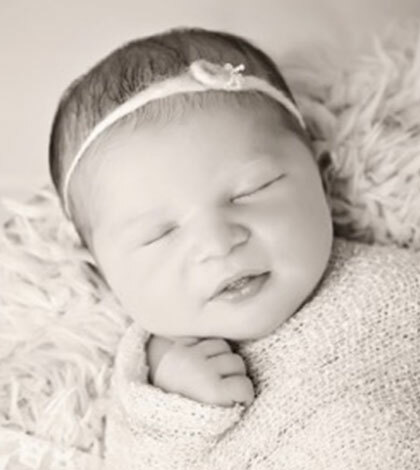 Colby and Lauren Jensen of Waterloo are happy to announce the birth of their daughter Mildred Ruth Jensen. She was born Sept. 20, 2018, at 9:23 a.m. at Mercy, St. Louis. She weighed 7 pounds, 11 ounces, and was 19 inches long. She was welcomed home by her big sister, Mabel Louise. Her maternal grandparents are Robert and Tara Schulmeister of Waterloo. Paternal grandparents are Tonia and Roger Wallace of Elberton, Ga., and Tom Jensen of Waterloo. Her maternal great-grandfather is Ray Rippelmeyer of Waterloo. Her paternal great-grandmother is Barbara Youngs of Columbus, Ga.